Gust Gab: Emma Krumbee's...Friday Fun! Record high temps, sunshine, no rain, more importantly...NO SNOW! 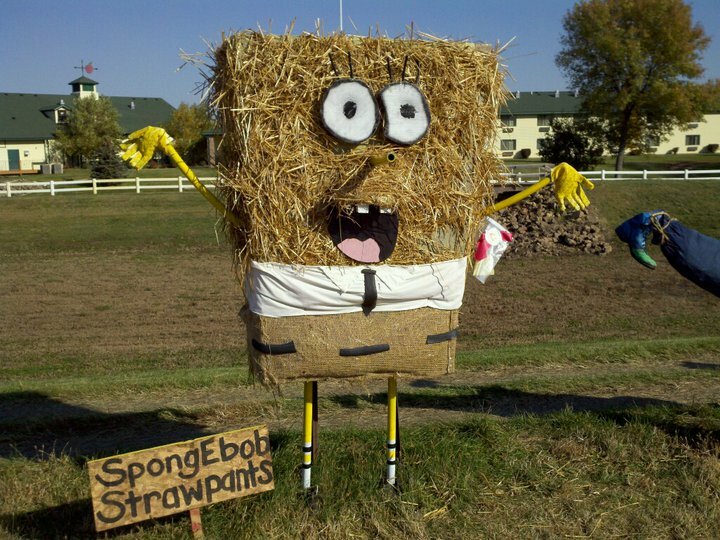 And some of the other Scarecrows for their annual Scarecrow contest were pretty impressive this year as well! Cat in the Hat & Thing 1 & Thing 2! Some dear friends met us out at Emma Krumbee's and the boys jumped right in with Buzz & Woody! I'm not sure what was so funny - but they sure had a great time together!! Do you have an annual Pumpkin Patch/Apple Orchard Tradition? Short sleeves on Oct. 28? I'm glad you got a photo of that! Looks like everybody had loads of fun! How fun! Looks like your kiddos had a blast. It has been an awesome October hasn't it? Now, time for the holidays!